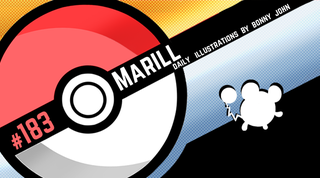 Misty Marill! Pokemon One a Day, Series 2! Think back to a time of your youth - how does the nostalgia look in your head? For me. they are distant memories that are hazy and colored by innocence and simpler times. I channeled that for today's piece featuring Marill, using bathwater to fog the illustration for dual meanings. Marill is a cutie patootie, and the first push towards creating a mouse-like entity in Pikachu's footsteps for future generations, going so far as being labeled as Pikablu in some instances. I've already tackled a lot of cute Pokemon so far, and the way to help illustrate them in their youth is by relating them to imagery of our youth. I mean, a brother can't lie...I still soak in some bubble bath if the day prescribes it. But still, there are those memories that can't be beat when we think of our past and the innocence that was shed along the way. 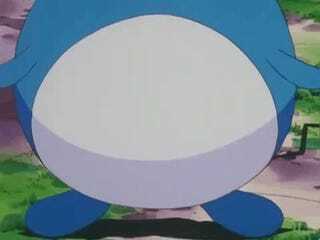 Anyway, does that Psyduck look familiar? That's cause he's remixed into this piece from the bathtub scene that featured the creature in series 1! I thought it'd be a nice meta way to bring back series 1 for 2, so far as recreating the bath tub and tiling as well. Visually, I wanted the scene to appear hazy and foggy like when we see nostalgic scenes in film or tv/cartoons. That, and the bath water itself is steamy with all the bubbles and foam help creating the scene further. I achieved the bubbles with a texture brush on lower opacity and painted everything else with a hard brush. I then duplicated the layer, applied a Gaussian blur and lowered the opacity to give the glow for haziness. After all was said and done, I then used the dodge tool after flattening the image (on duplicates of course) around the border to help lower the harshness of the edges of the tiles and tub. Bam! Finished piece. What do you miss most about your childhood? Learn more about the artist, Bonny John, at www.bonnyjohn.com ! There you'll find links to his YouTube, Twitter, Tumblr, and DeviantART accounts, in addition to his other bodies of work!